Well, I've officially been on this earth for 10,592 day which means it's celebration time! Tayanna (photographer behind Hey Tay & resident bestie) and I met up at Pink Antlers last night and had an incredibly fun impromptu photo shoot! Read on for more pics and my love letter to Pink Antlers! Entering the last year of my 20s is a little scary, I'll be honest. I'm trying to not overthink it - it's just a number! And, truly, I'm so fortunate to be at an amazing point in my life - Corey and I have been married for 5 years, I've been at the same company for almost 5 years and have had amazing career opportunities, I have an amazing family and a group of furry kids who love us a lot, and I also have an incredibly cool car and closet. I need to practice gratitude much more earnestly. 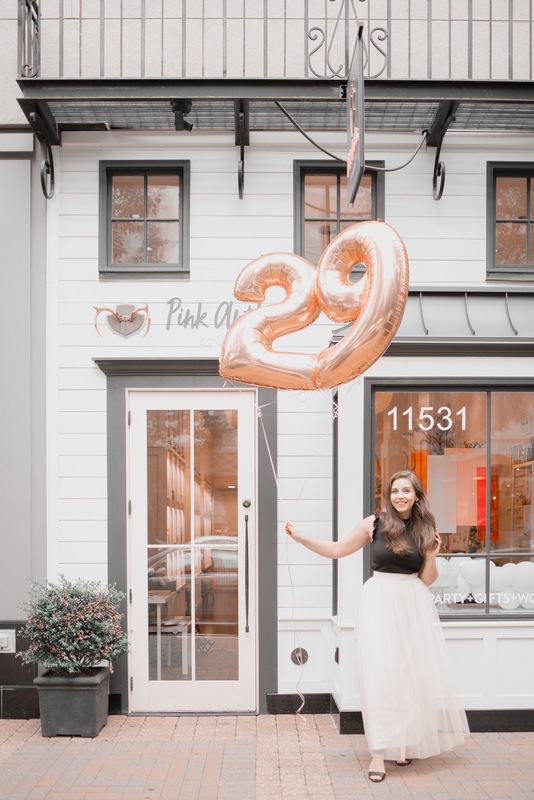 I've seen so many bloggers with incredibly cute birthday photos so I just had to join in on the fun! 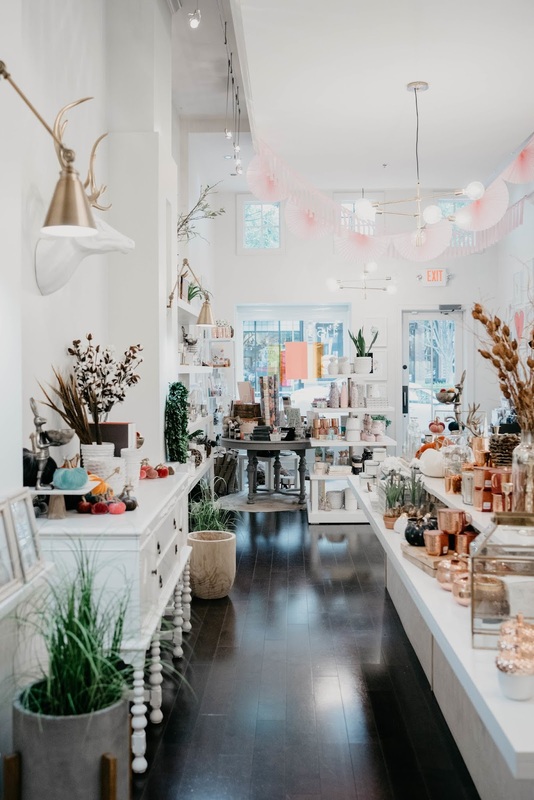 Pink Antlers is a mom & daughters owned store at Park Place in Leawood, KS. 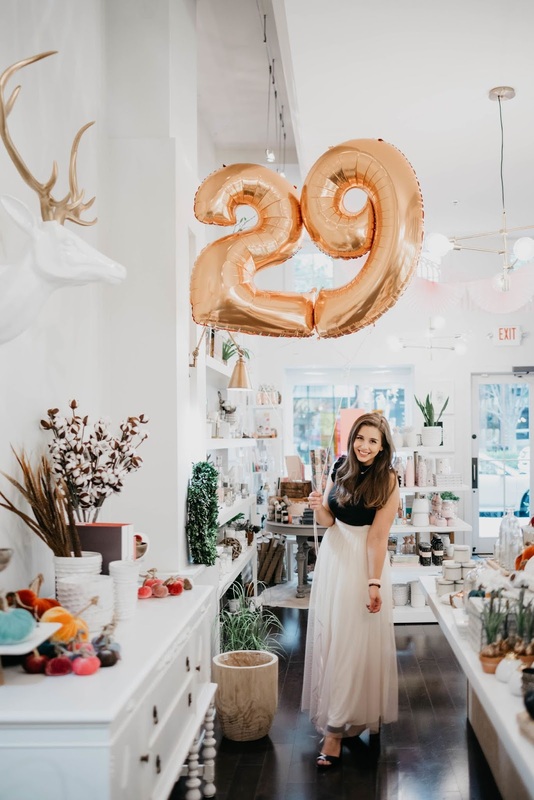 They are absolutely one of my favorite shops in Kansas City and have products ranging from home decor to party supplies to children's toys to organizational goodies. When I go into Pink Antlers I always end up leaving with a new goody that I'm absolutely in love with! Pink Antlers also offers workshops throughout the year! On September 18th Carly Rae Studio will be teaching Modern Floral Watercolors class and September 19th she'll be teaching Botanical Watercolors class! If you follow Pink Antlers on Instagram and/or subscribe to their emails you'll get regular updates on upcoming shop events! OH! And, oh my goodness, Pink Antlers has a shop pup. Frankie is an Australian Shepard/Poodle mix and I'm completely in love with her. She is so chill and sweet but is absolutely down to snuggle if you are. Like, can we just clone her please because I want a Frankie in my furry squad! Big thank you to Pink Antlers for letting us shoot and hang out with you last night! And HUGE shout out + thank you to Tayanna for always being down for random photoshoots. If you haven't checked out Tayanna's work you have to. 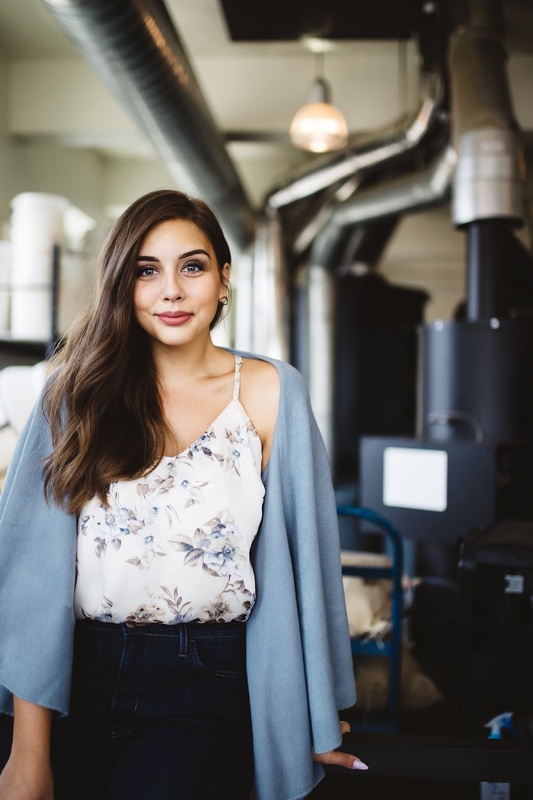 She is immensely talented and does portrait, family, wedding, blog, and boudoir photography! Tay is always down for new ideas and I absolutely love her encouraging attitude and creative eye. I absolutely would not have started my blog without her love and encouragement! Happy (almost) Labor Day weekend everyone! Thanks for hanging out and here's to another 348 months on this beautiful blue planet!